Russia’s growing class of e-shoppers now face additional challenges ordering items from abroad. Express delivery operators, including DHL and FedEx, have suspended foreign shipments to Russian online shoppers, blaming new customs procedures. Delivery companies say that new rules introduced by the Russian government have made it much more difficult for packages to clear customs. According to Russian business daily Kommersant, FedEx suspended deliveries of parcels to private individuals in Russia on Jan, 21. 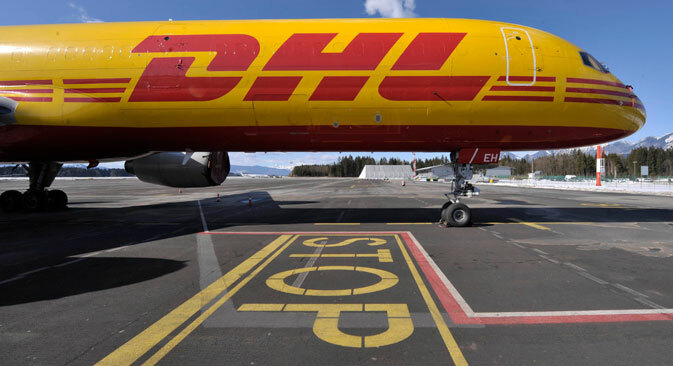 The DHL Express press service has said the company will follow suit on Jan. 27. UPS continues deliveries to private individuals in Russia for the moment – but that may change very soon. The company estimates that its logistic depots in Russia will be filled to capacity with undelivered parcels in approximately three days. Other delivery operators have yet to make any similar announcements. The call center for Dynamic Parcel Distribution (DPD) has said that deliveries of foreign shipments to Russians continue, and that packages were received yesterday from London and other foreign cities. Pony Express has said that it continues to deliver goods bought by Russians at some Chinese online stores, emphasizing that it does not handle customs clearance. An announcement on the website of the TNT express delivery service says that the company stopped accepting shipments to private individuals in Russia some time ago. Before the new customs clearance procedure went into effect, packages from foreign online stores required a copy of the customer’s Russian national ID with a registration address; a copy of the purchase order; and a photo of the goods being delivered. Now the customer will have to produce an original of the bank statement that reflects the payment to the online store; the original copy of the contract for customs declaration services; and a photocopy of the credit card that was used to make the payment. If the payment was made using someone else's card, the shopper will have to write an explanation as to how the owner of the card will be compensated. By Feb. 11, the Russian government will develop its consolidated position on strengthening controls over e-commerce, according to a statement made by Deputy Prime Minister Arkady Dvorkovich to the ITAR-TASS news agency. The government is now drawing up new measures for such controls. Russians are currently allowed to import up to 1,000 euros ($1370) worth of goods bought from foreign online retailers every month without paying any import taxes. In late 2013, Finance Minister Anton Siluanov said the ministry wanted to lower that threshold to 150 euros ($205) a month. The Economic Development Ministry has agreed to the idea in principle, but added that the 150 euros ($205) cut-off point is too low. Based on materials from Kommersant and Itar-Tass.